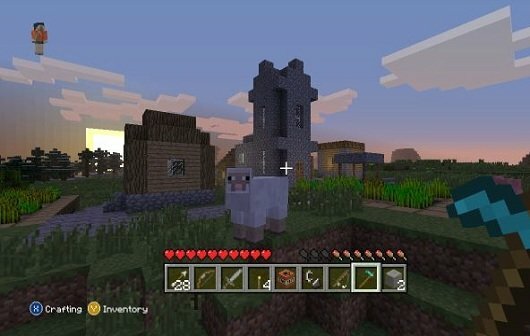 Die 4J Studios arbeiten weiterhin an der Xbox 360 Umsetzung von Minecraft. Bald gibt es einen neuen Patch, dessen genaue Inhalte jetzt feststehen. Title Update #8 wird die Minecraft: Xbox 360 Edition um einige nervige Bugs erleichtern. Rund 40 Punkte werden in den Patchnotes aufgeführt, darunter sind auch ein paar neue Features. Die Entwickler hoffen, dass der Patch noch in diesem Monat erscheint – fest steht dies aber noch nicht. – Fix for random crash on Kick Player. – Fix for a random crash on loading the tutorial. – Fix for freeze when writing on a sign as an autosave starts. – Fix for crash when attempting to enter an online enabled game session after losing connection to the Xbox LIVE service. – Performance improvement for the Enchantment interface. – Fix to display a message when monsters are nearby on trying to sleep in a bed. – Fix for an issue causing blocks to reappear after being destroyed when the server is busy. – Fix for Experience Orbs being invisible for a period of time when created. – Fix to force a Nether Fortress, Blaze Spawner and Nether Wart to always be present in the Nether for a newly created world. – Fix for autosave not working when the host has gone into an idle state. – Fix to increase the spawn rate for Mooshrooms. – Change to make Blazes drop Glowstone Dust as well as Blaze Rods. – Fix to player experience level display in two player vertical splitscreen mode. – Fix for Quick Move not being possible while holding something in the cursor. – Fix for armor position on Bad Santa when sat down. 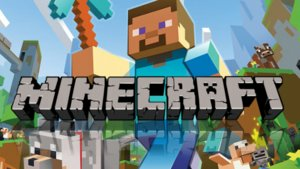 – Changed “Download Content“ menu to “Minecraft Store“. – New photo frames for avatar items in the Minecraft Store. – Fix for Magma Cube hit boxes. – Added an Awkward Potion to the Potions page in the Creative Menu. – Fix to show the aura of enchanted items for other players in an online game. – Fix for tools enchanted with Unbreaking occasionally repairing themselves. – Changes to improve breeding – Love Mode status is now network synchronised, and animals react more correctly if spawn limits are reached when breeding. – Fix for issue with “Take Half“ in the Brewing Stand interface. – Fix to allow the map to be displayed when the player has turned off Display Hand. – Fix for potion effects being removed after using the Nether Portal. – Fix to stop the item in hand being changed when traveling to/from the Nether. – Fix for Compass not pointing to the original spawn point after having been in The Nether. – Fix to allow players to be able to eat food even if they are not allowed to build and mine. – Fix to allow client players to toggle Custom Skin Animation. – Fix for player gamertag border color being wrong after a respawn/dimension change. – Fix for issue in splitscreen where it was possible to craft items without a player having the resources required. – Fix to remove the Love Mode tooltip when animals are unable to enter Love Mode. – Change to moderator option description in the Host and Player Options. – Fix for the submerged edge of the world emitting a faint light. – Fix for lighting issue with mobs in water. – Fix to stop food being removed when feeding animals in Creative Mode. – Fix to stop Bones being removed when taming wolves in Creative Mode. – Change to make baby wolves tame when born. – Fix for Blaze Rods not being identified as fuel for a furnace. – Fix for issue with sky lighting values making bedrock layer fully lit.